LOCATION, LOCATION!!! Walk out of your front door and be only steps to Ocean! Live seconds near Gloucester's famous Stacy Boulevard and Pavilion Beach! 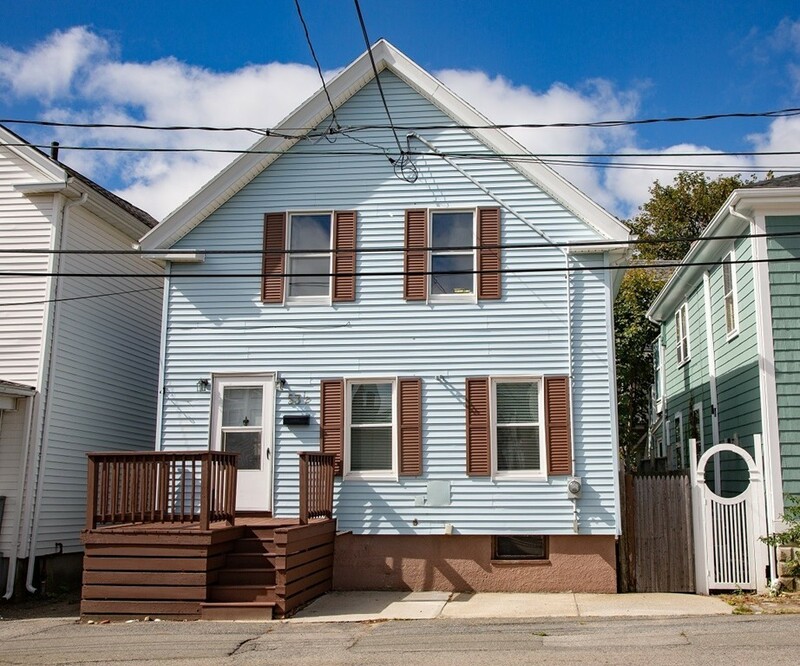 This is a great house and location if you are looking for that perfect getaway home on Cape Ann or Year round residence! Don't let the outside fool you, as the house is surprisingly spacious inside! The main level offers a good size living room and dining room both with hardwood flooring; a beautiful updated kitchen with stainless steel appliances; and a full bath. Upstairs are 3 bedrooms, the master bedroom is quite spacious and has good storage space. This is a smaller lot but there's an adorable back yard patio perfect for outdoor entertaining! With a few cosmetic touches, you can make this your perfect home! How fabulous to live this close to the beach for this price! !